The death penalty was not on the table. Routh will receive life in prison without parole. A former Marine was found guilty late Tuesday of the 2013 shooting deaths of former Navy SEAL Chris Kyle, the author of "American Sniper," and his friend Chad Littlefield. It took an Erath County, Texas jury less than two hours to convict Eddie Ray Routh of capital murder. 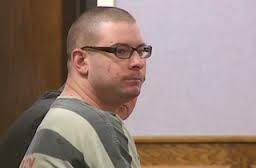 State District Judge Jason Cashon sentenced Routh to life in prison without the possibility of parole. Prosecutors had not sought the death penalty in the case. Routh's defense team said they would appeal the conviction. "We have waited two years for God to get justice on behalf of our son," Littlefield's mother, Judy, told reporters outside the courthouse. "And as always, God has proven to be faithful, and we're so thrilled that we have the verdict that we have tonight." Chris Kyle's widow, Taya, was not in the courtroom when the verdict was read. Earlier in the day, she had stormed out of the courtroom in the middle of the defense's closing arguments, whispering an expletive and slamming her hand on the wall as she walked out the door. At the time, attorneys were discussing how useful it would have been for Routh's mother to have told Chris Kyle about her son's history of violence.